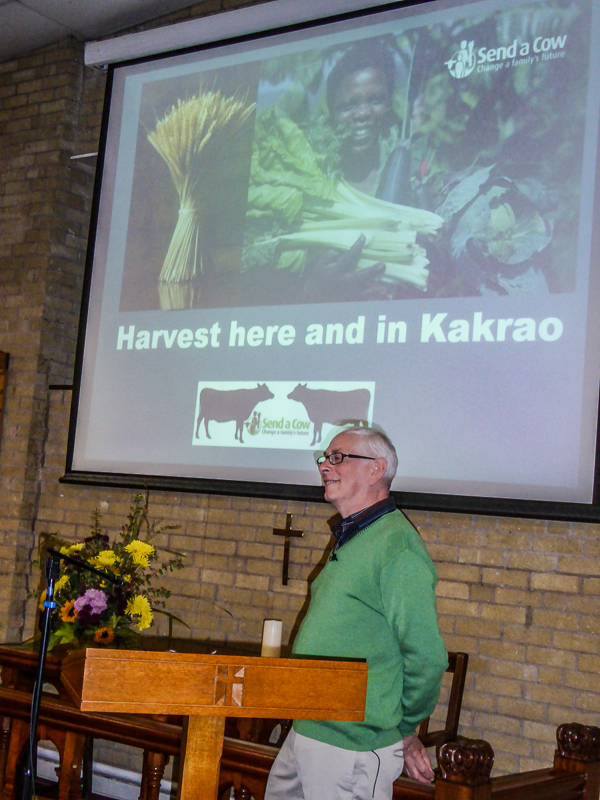 This was an opportunity to share our thoughts about harvest in the affluent western world with the situation in Kakrao, Kenya, with which we enjoy a Mission Partnership. 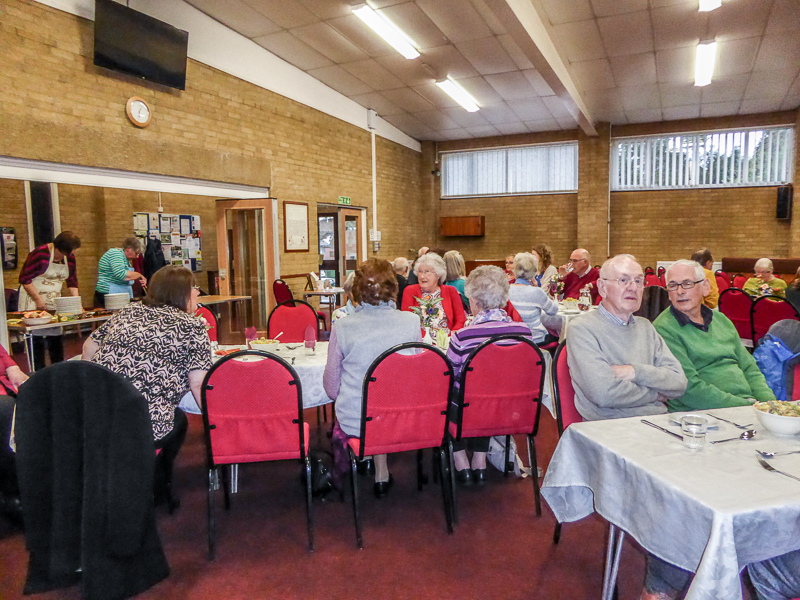 The previous Sunday was our Harvest Festival celebration and people brought food that we could use to create a meal for Food for Thought. The chefs did a great job of combining all the vegetables into a delicious vegetable lasagne followed by ample fruit salad. There was still enough given at the Sunday service to donate to Urban Outreach for their food pantries. After the meal, Brian Senior, himself a farmer’s son, outlined the way in which arable farming in the UK has changed through his lifetime as he recalled memories of working in fields following the reaper-binder and in the winter anticipating the arrival of the threshing machine. All that changed with the combine harvester so that two people can now do the whole harvesting job. In contrast, Kakrao has poor land and suffers from persistent weed infestation which makes growing hard. The social circumstances of the region also make life difficult – the HIV AIDS rate is high, access and roads are poor, most people have little education, many have primative living conditions, the market for crops such as tobacco and sugar is not favourable. Brian gave an insight into the way Send a Cow has undertaken a review with the people of Kakrao to jointly understand their situation and this review was the basis for the Kakrao project. Project members on the ground have been recruited and are now receiving training. Through the project, Send a Cow hopes not only to improve the farming techniques and help to change the crops grown, but also to develop community support, involve the women more in decision-making and create better links with government agencies.